The GuangYing has incredible speed. In fact, it's too fast for me. I overshoot a lot using this cube. I don't prefer that, but someone else might enjoy that. The corner cutting is definitely lacking. Even on looser tensions I wasn't able to get it to cut 45 degrees. Definitely a bummer when the cube is so fast, results in lots of lockups. Corner twists were pretty minimal. I only had a couple in my testing. One big plus to this cube is that it doesn't pop. I tried with all my might to get it to pop and it just won't do it. This could be good if you're around non cubers a lot who are very rough on your cubes. Overall, I would only recommend this cube if you were a fan of previous FangShi cubes. If you were, you will enjoy this cube. The cube is exceptionally fast and cubers will have a tough time controlling it. Overlubing it will help control the speed. Other than that everything is great. Corner cutting is what all new cubes have, corner twists are not a common occurrence for me and it is unpoppable. This cube is extremely fast and is the most uncontrollable cube on the market recently, in my opinion. Corner cutting is not the greatest when compared to the AoLong, HuaLong, or YueYing, but not too bad. This cube will NOT pop. It was difficult to get a piece out and then back in. I had to unscrew a center to get pieces out :P I would not recommend this cube unless you love extremely fast cubes. 2 words VERY FAST. This cube is incredibly uncontrollable and corner cutting is pathetic especially for a cube made in mid 2015. its very disapointing i would even prefer a shuangren v1 over this. When I got this cube, it just amazed me. It had a nice crunchy feeling that I like, and it is fast just the way I like it. After lubing the core with weight 5, and loosening, it became almost perfect. The only thing not perfect about it is that it corner twists quite often. This is a great cube for me, but I wouldn't recommend it, because it might be too fast for most people. This is my new main, but I will admit it is not for everyone. My TPS is particularly slow, and I needed a fast cube to remind my hands that they could in fact turn faster than I had been turning. The cube can be almost uncontrollably fast, but with some 40-50k silicone lube, the speed becomes perfect. The factory tensions are too tight, but don't be afraid to loosen them because of the speed - it doesn't speed it up that much. Overall, the best cube for me right now. Solving with the Guangying as someone with a sub-20 average feels kind of like driving a Lamborghini down residential streets. 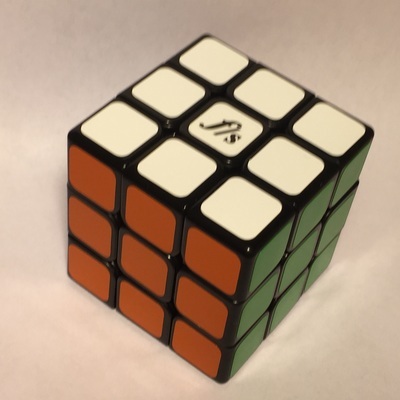 This cube is extremely fast, more so than the Gans 357. I'm forced to restrain myself from turning as fast as I can during F2L to retain lookahead, whereas on something like an Aolong v1 (no slouch itself in the speed department), I can lookahead while turning pretty much at full speed. While this has made F2L rather more difficult, it's let me cut significant fractions of a second off my LL algorithms. The downside is, it doesn't have much in the way of corner cutting. It cuts line to line on my fairly loose tensions, which isn't great, but should be sufficient for speedsolving, and only reverse cuts half a cubie, which can cause some catching if you're not an accurate turner. Would definitely recommend the Guangying to anyone who likes extremely fast cubes. 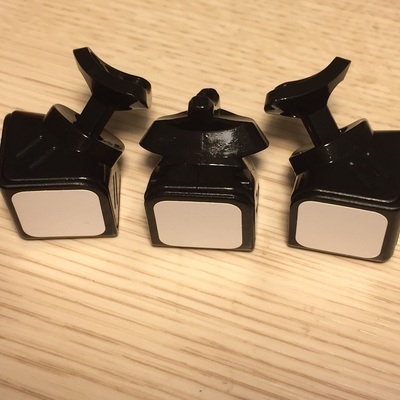 The Fangshi GuangYing is a very unique cube. The feeling is crunchy and smooth, and not scratchy like the Shuangren v1 and v2. The speed is unbelievable, and exceeds anything I've ever felt out of the box. Corner cutting was okay out of the box, but the GuangYing really needs to be loosened to get it performing up to speed. After loosening it, it could cut 45 easily and reversed 3/4ths of a cubie. Locking is fairly minimal from the corner cutting, and corner twisting happens a little bit too much for my liking, although it isn't much of a problem. 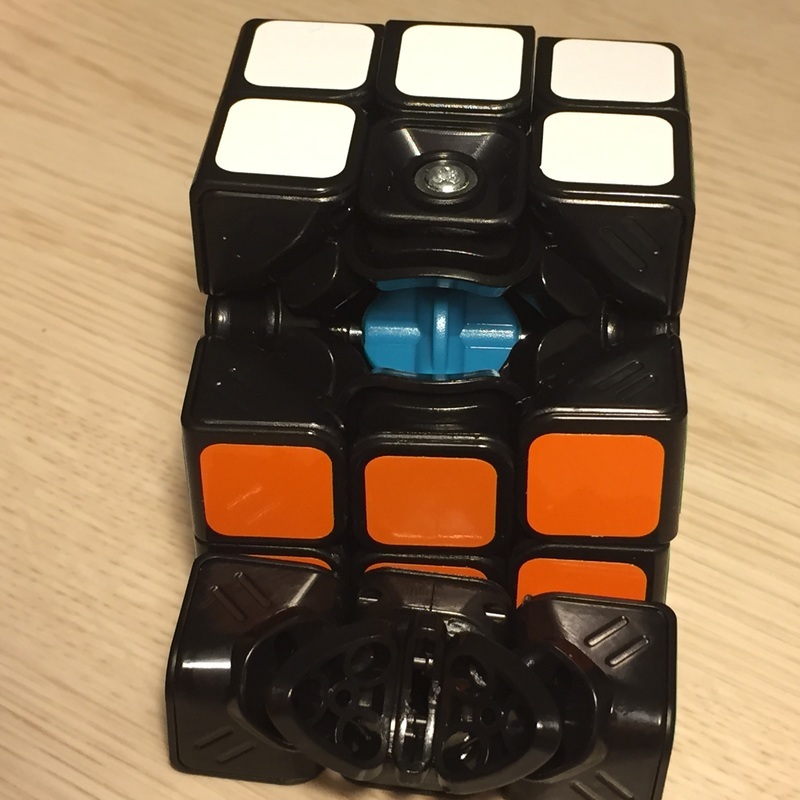 Due to the amazing design of the Fangshi company, this cube NEVER pops. Never. Overall, I give this cube 5 stars because I can't get enough of the feeling and the speed.